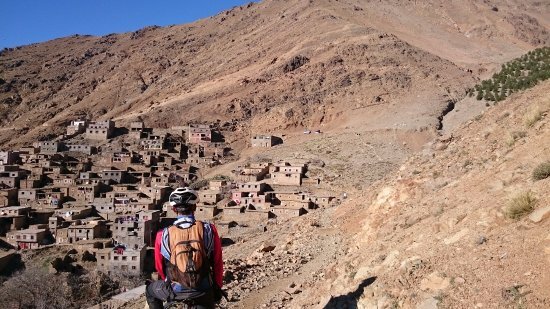 High class 5 days Through the Berber villages & vallHigh Atlas 7 days Mountain Bikingeys, the short visit of the Berber house and mint tea with the locals, for know more culture about them, great views from the pass between valleys. 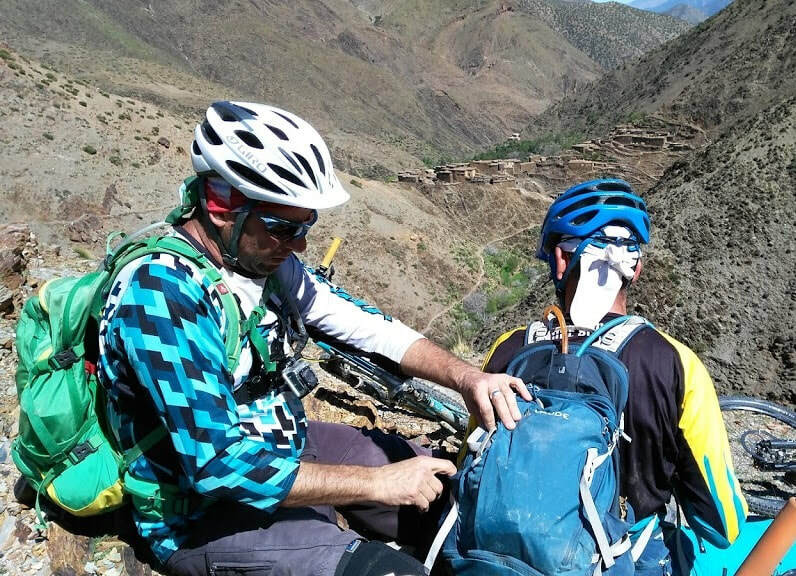 Transfer from the airport to Marrakech hotel or Riad, Welcome by our team, to have a short chat about the real great adventure across the High Atlas Mountains of Morocco. Beginning from at 9h30, biking up toward Tizi n’Tmatert( a pass up to 2300m), probably you can have lunch over there if you start too late, if not you can have it nearby Tachdert(is a village), after lunch you will Take a rest with some tea at the top and keep biking to the Amgdoul for lunch there, after lunch you have the all the way down heading Asni town between the Berber villages enjoying a wonderful landscape. overnight at a Berber house. After breakfast, we will take a different bike route heading towards Azzaden valley via Imi Oughlad and Ait Maizane valley. 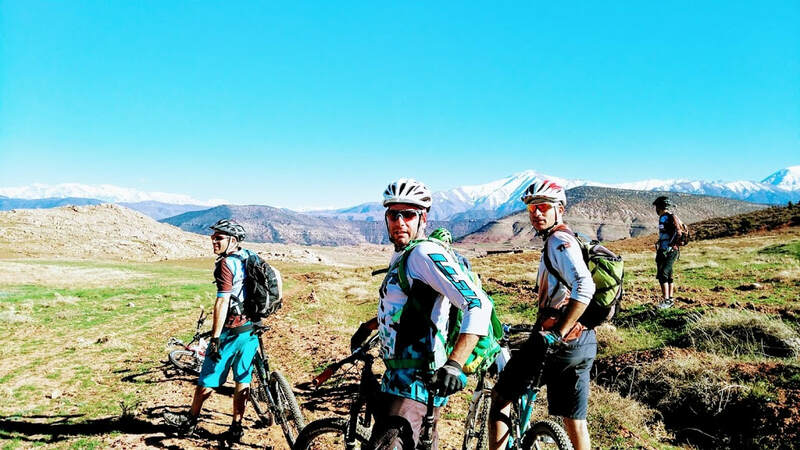 Upon reaching the mountain pass Tizi n Techt we will have our lunch in a great view over the Footer of the high atlas mountains, with a chance to take in the impressive views before the descent to Azzaden valley and so colorfully mountains, night at the berber house. 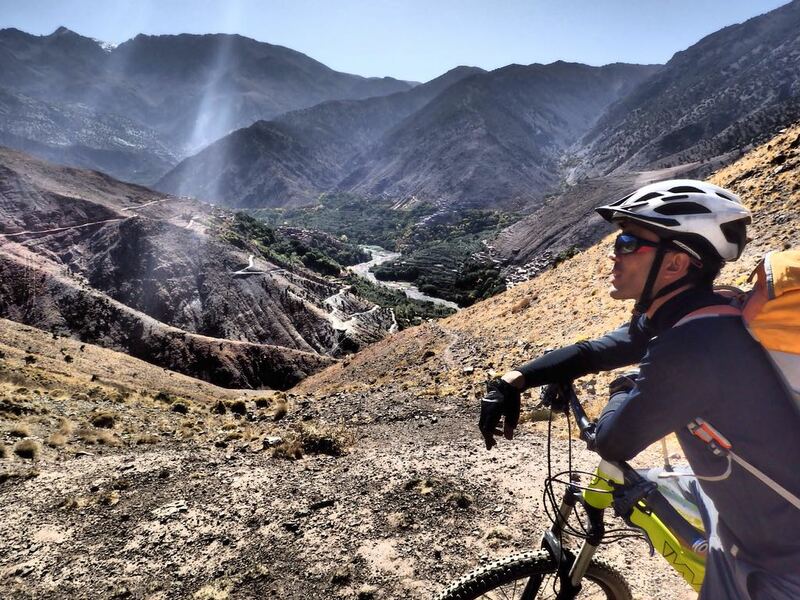 Today will be a lot of biking, We start our climbing to one of the highest waterfalls in the Atlas mountains 2540m, and today we will have also enough of single track downhill to the discovery of the nicest berber village in the area, Azzaden valley. 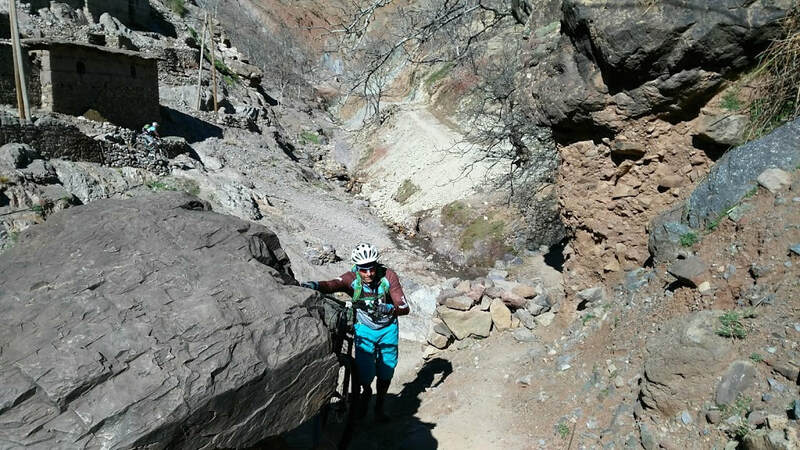 Then, we will have lunch near the river under walnuts trees, keep biking down to the conflict of the two valleys Azzaden and N’fis valley. Night at the guest house. Free day / the visit of the city by a local guide.